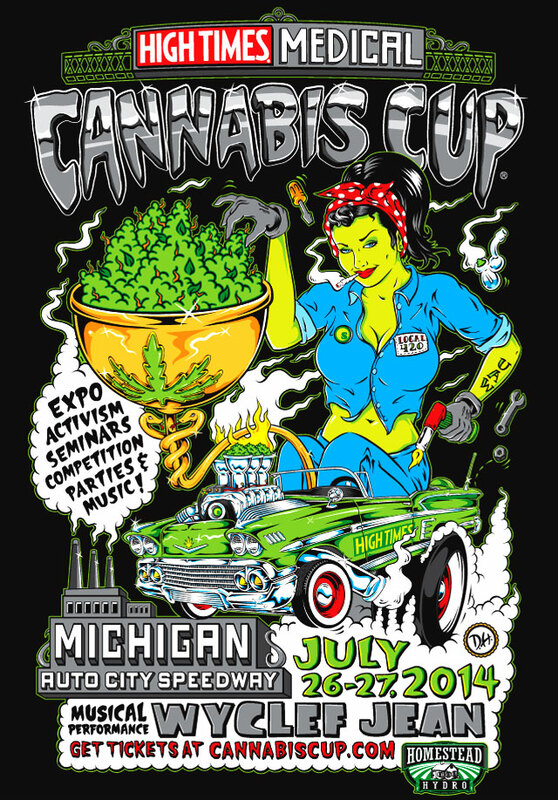 The HIGH TIMES Medical Cannabis Cup is returning to the Great Lakes State. In fact, this is the sixteenth Cup that we’ve mounted in America. Up until 2010, the Cannabis Cup was only held in Amsterdam. But with the rapidly changing legal landscape for marijuana in the US, we brought the Cup to our homeland. The Cannabis Cup is an event designed to promote our fledgling industry. Our aim is to showcase the businesses and the people who are stoking the fires of cannabis commerce. The event is a moment when we can take stock of our industry – a time to look around, exchange ideas and prepare for the future battles ahead. We’ve already seen what legalization can do in Colorado, where recreational cannabis is already legal. In Denver, the Cannabis Cup has been a staggering success with 40,000-plus attending, all reveling in our newfound freedom. In the years to come, we want to see huge industry trade shows in all of our 50 states. But on this weekend, let’s concentrate on making Michigan the marijuana powerhouse it should be. The foundation has been laid. Let’s start building the house!